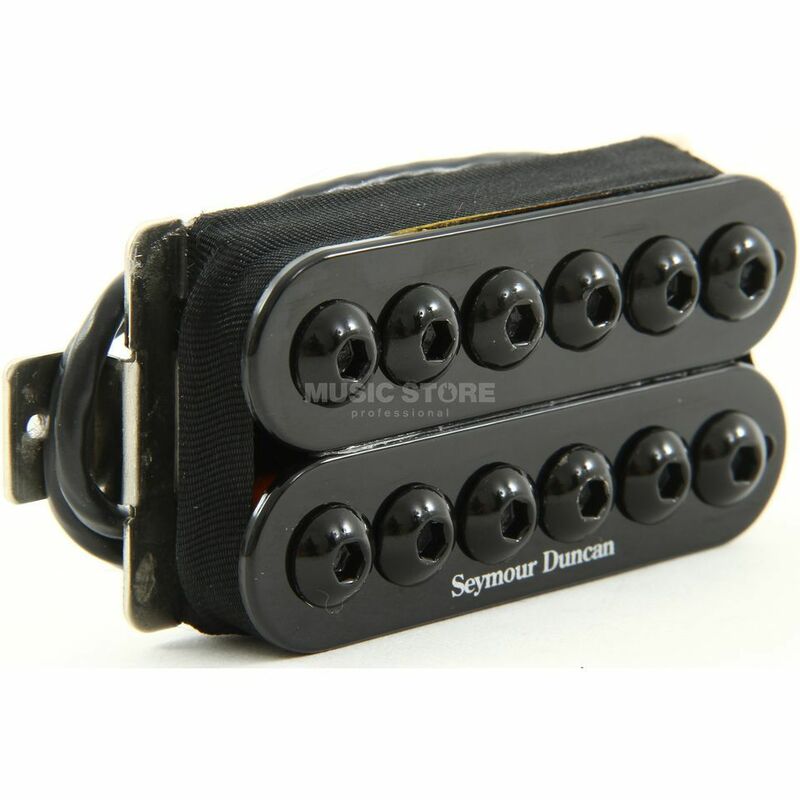 The Seymour Duncan SH-8N Invader Electric Guitar Pickup Black is an electric guitar pickup for the neck position with a humbucker design, a ceramic magnet, a nickel silver bottom plate and a 4-conductor lead wire. The SH-8N produces a high output with a huge sound. The Invader has a combination of specially overwound coils and three large ceramic magnets, with striking oversized metal oxide pole pieces that expand the overall magnetic field and widen the frequency spectrum. The Invader uses 4-conductor lead wire for multiple wiring options, and is vacuum wax potted for a squeal-free performance.